5 Bathroom Layout Inspirations For Your Home Designs! Bathroom layouts are an extremely important aspect to consider during the whole renovation process. If there are too many fixtures in there, then you’ll get a cramped space that no one is going to want to use. Similarly, if the fixtures are too small, then you’ll have a lot of negative space on your hand. 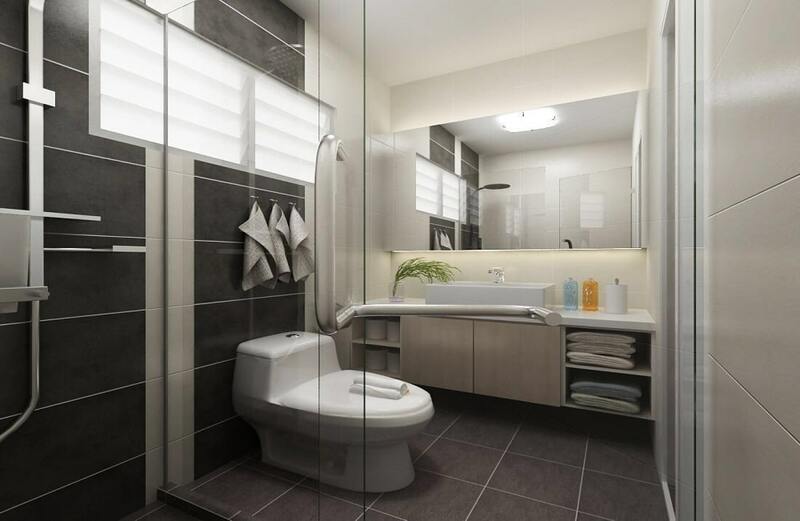 So to make things easier for you, we’ll be featuring 5 bathroom layout inspirations for your HDB designs today! This kind of a layout is the best for small bathrooms. It features three fixtures in all, and is amazingly pragmatic when you’re working with a small space. Even if you install a large vanity in this particular layout, you’ll still have a lot of circulation space to make it seem spacious. 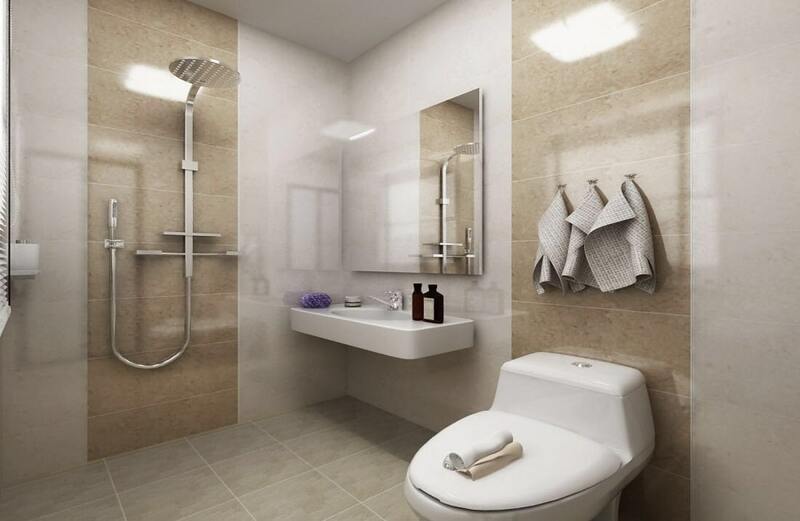 Although the lack of a shower area means that you cannot distinguish between the dry and wet areas of such a bathroom layout, it is still quite efficient. 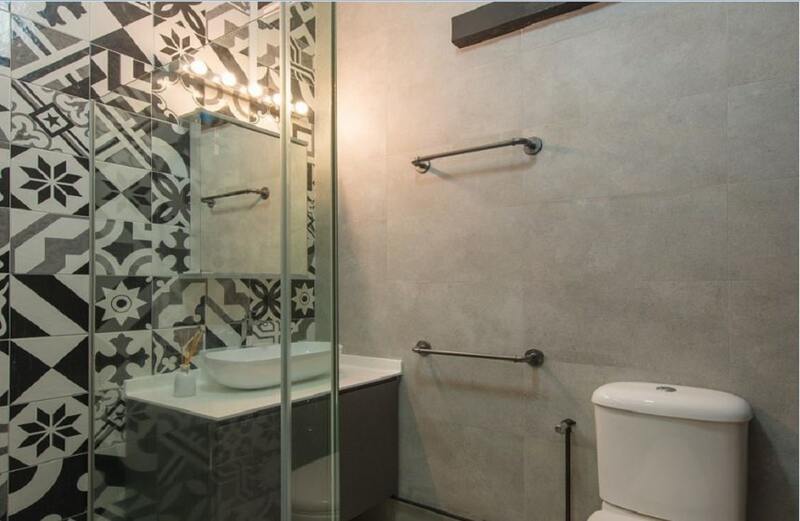 With a door smack in the center, it is quite easy to configure the layout of such a bathroom design. The shower cabin and vanity take up the periphery while the commode is installed in the middle. This is also a very efficient layout, and doubly so because it expertly separates the dry and wet areas in the bathroom. 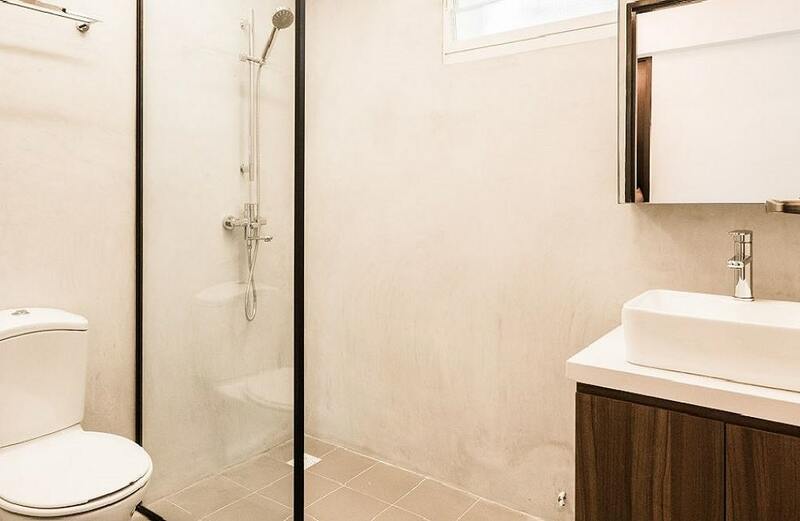 Sidelining a small shower stall with the help of a glass partition can help you make sense of your small-style layout. Remember that the shower stall does now have to be very big – mostly 3’ in width is enough. Relegating it to the side can help you maintain privacy and keep the aesthetic attractive at the same time. 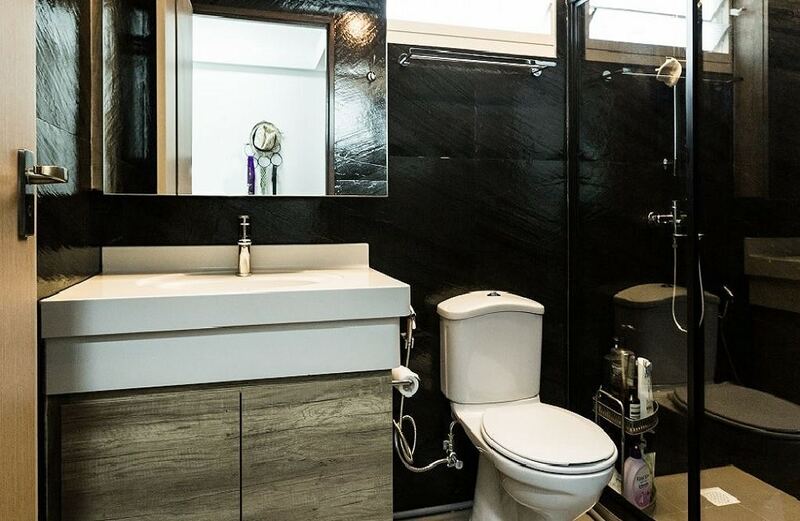 This kind of a layout, where the shower area, the commode and the vanity are all aligned on the same wall is especially for compact bathrooms that are short on space. 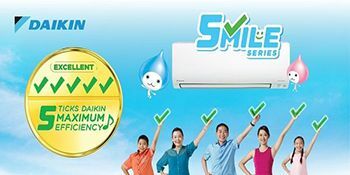 It’s a great way to utilize the maximum amount of space while still retaining a bit of spaciousness via adjusting the layout in a highly compact manner. This is the tripod arrangement in reverse, with the shower area in the middle so that it can be allocated a small partition wall of its own. This helps keep the shower spray away from most of the fixtures, which is always a good thing while designing a well-rounded bathroom interior.